A Santa Clara County judge today removed the temporary injunction, imposed last November by a Monterey County judge, and allowed the much-feared Cease and Desist Order (limiting Cal-Am’s ability to pump from the Carmel River) to go into effect. Already we’re hearing that water supplies are about to be cut, that severe rationing may be imposed within the next few days, and so forth. And we expect this chorus to grow louder in the days to come. Especially as panicking the residents of the Monterey Peninsula about the Cease and Desist Order will make it easier to cram the unfair scheme for running the regional desalination project down their throats. Yet this is all, we’re glad to say, pretty far from reality. As we explained in brain-numbing detail last fall, the order limits Carmel River pumping for the current water year to 10,209 acre feet – about what Cal-Am has been pumping in recent years, anyway. This year, thanks to the wet rainy season, Cal-Am is unlikely to pump even 10,000 acre feet – meaning that the restriction will not affect Cal-Am’s normal operations, or the Peninsula’s normal use of water, this year in any way. But what about next year? Next year the limit will also be 10,209 acre feet. So, unless next year is unusually dry, no rationing will be needed then either. After that, the limit will decline by only 121 acre feet per year (242 in 2016) until 2017, when all illegal diversions must cease. The idea being that the desal plant will be on line by then to make further illegal diversions unnecessary. And if the plant’s not yet ready, there’s even a procedure for applying for relief from the order. 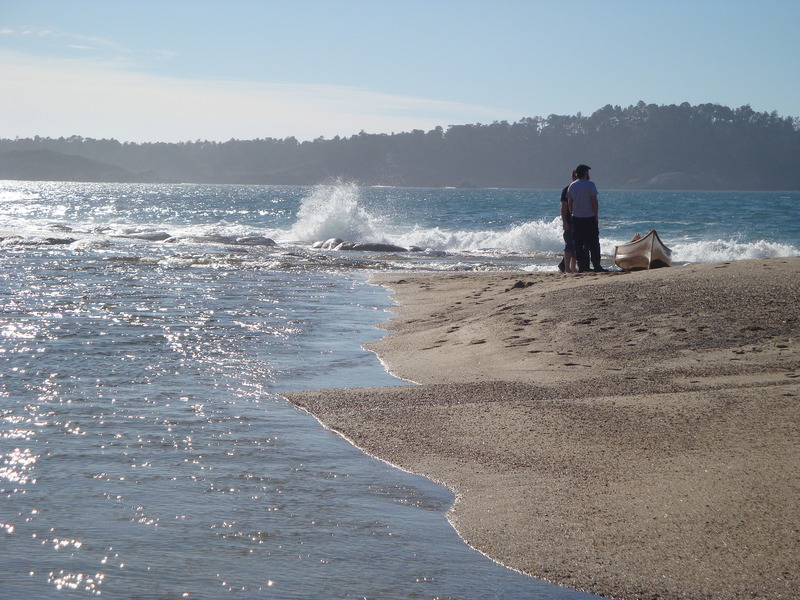 One thing the order does do is prohibit Cal-Am from using its illegally pumped water to serve new connections or intensifications of use at existing connections (certain Pebble Beach projects and projects that obtained permits before 9-2-09 exempted). This may well prove to be the order’s most noticeable immediate impact, although with construction of new residential and commercial structures at a virtual standstill, the number of projects affected, over the next couple of years anyway, will likely be pretty limited. See our lengthy analysis of the order and its history for full details. This entry was posted on Thursday, April 22nd, 2010 at 11:43 pm and is filed under Carmel River, Courts, Water. You can follow any responses to this entry through the RSS 2.0 feed. You can leave a response, or trackback from your own site.